Many believers throughout the ages have experienced what appears to be the silence, absence, distance, hiddenness, or unresponsiveness of God. Prayers seem to be unanswered, God seems to be nowhere near, and we can have a sense of divine abandonment, or at least of divine silence. 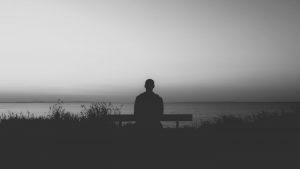 While this can be a major theological and philosophical problem for some, for most folks it is a very personal, practical and pressing problem: Where is God? Why does he not hear me? Obviously, in times of hardship and suffering, such questions really become pronounced. When it seems to be dark all around us, we often ask where God is. He seems silent, aloof, uninterested in our plight. The more we suffer, the more we tend to notice what seems to be his absence, his silence, his lack of interest in us. That is how things appear to be at any rate while we go through tough times. And the examples of great saints who have experienced this are never ending. Think of the famous work The Dark Night of the Soul by the Spanish mystic Saint John of the Cross (1542-1591). How many millions of devout Christians have also experienced this sort of thing? We look for some light. We look for some help. Our prayers seem to be vanishing, like so many wisps, into the serene aether of the cosmos (or worse, into the plaster of the ceiling). We strain our ears for some word from the Mount of God. A whisper will do, we tell ourselves, since clearly no bolts or thunderings have been activated by our importunity (yes, we have tried that tactic, too: the “nonfaith” approach). But only dead silence. Blank. Nothing. “But Lord, how are we supposed to know if we’re on the right track at all if we don’t get some confirmation from you – some corroboration – in any form, Lord – inner peace maybe, or some verse springing to life for us, or some token. Please let us have some recognisable attestation to what you have said in your Book.” Nothing. Silence. Blank. Meanwhile, where is God? This is one of the most disquieting symptoms. When you are happy, so happy that you have no sense of needing Him, so happy that you are tempted to feel His claims upon you as an interruption, if you remember yourself and turn to Him with gratitude and praise, you will be – or so it feels – welcomed with open arms. But go to Him when your need is desperate, when all other help is vain, and what do you find? A door slammed in your face, and a sound of bolting and double bolting on the inside. After that, silence. You may as well turn away. The longer you wait, the more emphatic the silence will become. There are no lights in the windows. It might be an empty house. Was it ever inhabited? It seemed so once. And that seeming was as strong as this. What can this mean? Why is He so present a commander in our time of prosperity and so very absent a help in time of trouble? Lest the reader think that he is getting carried away here, and verging on the blasphemous, recall two things. First, he later went on to his usual strong faith. This was a time of temporary turmoil and grief, but he never abandoned his trust in God. He never gave up his faith. Second, recall that millennia earlier the psalmist could make basically identical remarks: “Why, O LORD, do you stand far off? Why do you hide yourself in times of trouble?” (Psalm 10:1). Lewis is here simply echoing the thoughts and feelings of the past great saints as recorded in Sacred Scripture. Speaking of which, we have plenty of such passages that can be mentioned here. The prophets often called out to God, asking about his apparent aloofness or hiddenness. Consider Isaiah who said this: “Truly you are a God who hides himself, O God and Savior of Israel” (Is. 45:15). Job 31:35 “Oh, that I had someone to hear me! Psalm 13:1-3 How long, Lord? Will you forget me forever? Psalm 22:1-2 My God, my God, why have you forsaken me? Psalm 35:22-23 Lord, you have seen this; do not be silent. Psalm 44:23-24 Awake, Lord! Why do you sleep? Psalm 89:46 How long, Lord? Will you hide yourself forever? I think by now you get the drift. Plenty of godly and devout saints have also cried out to God – often in a flood of emotion – as they sense his absence or wonder about his presence, his nearness, and his ability or willingness to come to their aid in time of need. So one obvious point in all this is as follows: if you sometimes feel that God has abandoned you, or he does not hear your prayers, or he is nowhere to be found, you are not alone. Millions of saints through the ages have experienced the very same thing. So this is common enough. Of course the next issue is how we deal with this. What do we do when we go through the dark night of the soul? How do we respond? How do we hang in there when it seems that all is lost, and darkness surrounds us? Well, that will have to be the stuff of further articles, so hold on! But a few quick things can be said here. We must indeed hang on. We must indeed persevere. Whatever dark patch we are now in will not last. These things are temporary, although they may not seem like it at the moment. As the old saying goes, “Never doubt in the dark what God has told you in the light”. When things are closing in all around you, you must hang on to the eternal truths you have always loved and trusted in when things were less dark and burdensome. Hold on to biblical truth, even when it seems like there is nothing left to hang on to. And even more importantly, remember that God is hanging on to you. He always has, he always is, and he always will. Never forget that. When things are the darkest, the eyes of faith are the most needed, to see that God has not moved – he is right where he has always been. But more needs to be said on the hiddenness of God, so stay tuned. Dunn, Ronald, When Heaven is Silent. Thomas Nelson, 1994. Guinness, Os, God in the Dark. Crossway, 1996. Habermas, Gary, Why Is God Ignoring Me? Tyndale, 2010. Long, James, Why is God Silent When We Need Him the Most? Zondervan, 1994. Moser, Paul, Why Isn’t God More Obvious? RZIM, 2000. Pratney, Winkie, Dealing With Doubt. Spire, 1989. Shaw, Luci, God in the Dark. Highland Books, 1989. Yancey, Philip, Reaching for the Invisible God. Zondervan, 2000. Yancey, Philip, Where is God When it Hurts? Zondervan, 1977. Howard-Snyder, Daniel and Paul Moser, eds., Divine Hiddenness: New Essays. Cambridge University Press, 2002. Moser, Paul, The Elusive God: Reorienting Religious Epistemology. Cambridge University Press, 2008. “Hold on to biblical truth”. That’s all we can do when God is silent. I wish we heard more sermons on this subject but sadly we are served up motivational talks on trying harder to be a better person. What is interesting in all those passages is that those crying out to God were in no doubt God was there listening to that prayer at least, since what would be the point of calling on his name otherwise. Their expectation was very high, that through the silence would come the healing and comfort they needed. Often the silence is the method God used to help them overcome this very problem next time. Sometimes what we ask for we have already been given and silence is all that is needed to find it. After typing a response to this article of MR M’s. I said, my now usual prayer for all the little babies that will be murdered by their own mothers today, then up popped a link from my friend Molly, (she is Catholic btw). I thought, out of the darkness of abortion came these fine brave people doing what they could with what they had, driven by what they valued. The snow was pure and unbroken, it was in sharp contrast to the darkness of abortion. None of the liberal left will be moved by what those people did, but who cares what the liberal far left think. I hope, as each and every one of those little babies is drawn to God, they are given a glimpse of the prayers said for them and the beauty of a mountain top with a banner flying for them. My dark night of the soul has lasted almost 5 years. I have several ways that help me through. Firstly I follow the oft-repeated Old Testament exhortation to remember what He has done in the past – through written testimony in His Word, and as experienced in my own life – so much undeserved grace and blessing. When He seems to be absent I also spend my time seeking after Him – reading and praying. Sometimes He breaks into my life briefly to remind me He is there by taking up an unuttered thought as prayer, blessing me mightily in some other area of my life – except in the area I am specifically crying out for. During these times, I also have an analogy that helps. God is the Father who has let go of the toddler’s hand for a time and has walked on ahead. He stops a way ahead where he can see the toddler, but the toddler cannot see the Father. He will not take His eyes off the toddler, for that is something a Father does not do, but the toddler is usually unaware of this. At first, when the Father lets go, the dismayed toddler falls and finds Himself alone and abandoned. But what then does the toddler do? Does he sit there in a screaming heap, waiting for the Father, to reappear and pick him up? Does he sit there and wait for someone else to pick Him up? Or does that toddler, because he loves his Father, try to stand and walk forward on their own, in search of his Father, trusting and knowing that his Father would not abandon him? Does the toddler really love his Father enough that the thought of sitting there without Him is intolerable? Does he believe that if he gets up on his own and tries to stumble along in the right direction, taking some tumbles on the way, that he will eventually find the Father again? As the toddler gets to his feet and tries to move forwards, he stumbles a few times, but his ability to walk slowly improves. As he goes, he also grows, and he looks for any sign of the Father that might make his direction more certain. As a true Father will not abandon His children, neither will true children abandon the Father. They will not give up searching for Him, seeking, asking others what they know of Him. The longer the Father is absent, the more His children will seek after Him, and seek to know about Him, so that they will know Him when they see Him again – to remember Him as they are remembered by Him. The analogy is not perfect – our heavenly Father’s ways are above those of an earthly Father. In both cases though, fathers sometimes leave children alone for a time to grow and mature, while keeping a watchful eye on them. It’s an opportunity for earthly fathers to stand back and watch for evidence of the good they have sown into a child’s life. Our heavenly Father leaves us alone for many reasons. Leaving us alone gives us the opportunity to exercise the free will He has given us, and to prove that we are children by the use we make of it. Being left alone is an opportunity for us to prove that He is our Father, by what we do when we are alone – which is harder when He seems to be absent. When He seems to have forgotten us, pursue Him instead – it’s a powerful witness to others – showing that we can be still and know that He is God even in the dark, alone times. Many thanks Anon. Bless you. On a historical perspective of the matter of the silence of God, may I recommend Sir Robert Anderson’s very thought-provoking The Silence of God, Dodd, Mead & Co, New York, 1897 [Online at: https://archive.org/details/silenceofgod00anderich/page/n6 ]? In his years between those two dreams and his being called from gaol to Pharaoh’s court, Joseph must have wondered why God had said nothing to him directly – only giving him dreams, which seemed to make less and less sense as his career spiralled from one disaster to other, worse disasters. The Word of the LORD refined Joseph [Psalm 105:17-19]. Very pertinent Bill. I could and may will write my tome on day on our lives and the incredible periods of loneliness when God seemed absent. I call it, “The Injustice of God’s Obscurity”. It’s a pathetic fist-shaking rebuke toward God, with every finger in the clinched hand pointing back at me! One day I’ll write my story… But for now, I see it as the cry of Job in his sinful fallenness unable to see through his tears of self-pity that he is in fact surrounded by the loving, gracious, caring presence of His Creator Father. Bless you Bill. Great post, I too like the analogy of our earthly father to our heavenly Father, for one, it tells my earthly father much is expected from him by his daughter, as he expects much from me. I would advise you to memorise the small catechism if you haven’t already done so and in those quiet times, you can recite it when prayers seem to be falling into nothingness or when you have said everything on your heart, several times and you feel you are labouring the point. My Mum instructed me when I was a child that if we were to get separated for any reason, if it was in a store I was to remain in the store and if it was outside the store I was to ask the first lady with a child or a pushchair that came by for help. I think when we feel like God is silent then maybe we should consider sharing what concerns us with someone who we trust, the lady with a child, so to speak. Maybe God wants to answer two prayers at the same time without uttering a word since the person that you approach may feel blessed by the opportunity to be of some help, maybe it was their prayer they could have the opportunity to bring the comfort of God to someone that day. Such people often want to give back what they themselves had received at some point perhaps. Someone once said that they never pray for more than 15 mins at a time, but never goes more than 15 mins without praying I bet Mr M would know who that was. I think the hard part about prayer is the Amen since you have given to the Lord your petition and from that time until you get your response is called, patience, I’m not too good at that and could do with some exercise in this area, but then Gods actions are doing that for me perhaps. I just read an article about, what appears to be a genuine well-balanced concerned mother of four boys in the United States raising a concern over girls wearing tight leggings at mass. From what is in the article, she simply asks women/girls to try to be a little more modest, especially at church. Not to sound old fashioned, but I tend to agree with her. Women parading around at church in tight leggings, which leaves little to the imagination, seems quite inappropriate. Of course, the gym is perfectly apt, supermarket to pick up a few things on the way home to feed your hungry children [or yourself], sure. Now, the usual, an expected response is to double down, as opposed to humbling oneself. What ever happened to, let’s say perhaps, her point has some merit, let us discuss. Sadly, not the case, though I am not surprised, one response was, ‘don’t sexualise everything, how about raising your sons to respect women’, and ‘Leggings are the least of this world’s current gender issues.’ The audacity and ignominy of these assertions are palpable. It would be good to have, if you have the time, your take on this. Thank you for sharing your deep, sometimes ”abandoned” feeling prayers…Remember you’re never ever alone, we, your sisters and brothers are only a” hoy” away! God is a heartbeat away, so cry out and tell Him what you’re going through…Let’s know here at Culture Watch! Thank you again for your pertinent articles, they are so relevant to a suffering and confusing global community…Let’s reach out and spread the fragrance of Jesus! To answer Sarah’s question, I believe it was Smith Wigglesworth who made that comment about not going for longer than 15 minutes without praying.